Marvel’s Spider-Man on PS4 doesn’t have an online mode, or microtransactions. For a game of its size, it’s gotten surprisingly few patches since it first came out. Still, it turned out to be one of the more exciting releases of the year and had an active first month. A few days before the game came out, a minor scandal arose regarding the game’s puddles. Yes, you read that right. People got hold of a new screenshot from the game showing Spider-Man confronting thugs at a construction site where the puddles appeared scant compared to earlier trailer footage. The developers swore this was not the case. “No. We have plenty of other places with tons of puddles,” the studio tweeted. There was outrage, mockery and memes. Spider-Man came out on Friday, September 7. Bungie’s Forsaken expansion for Destiny 2 was the other major release that week, beating Spider-Man by a few days. Reviews ran the Monday before and were very positive. Ours was too for the most part, praising the web-slinging, but lamenting the lack of down-to-earth Peter Parker stuff. The game was widely considered another stellar first-party exclusive for Sony, whose PS4 has been home to several recently, most notably last year’s Horizon Zero Dawn and this spring’s God of War. Like some recent games, Spider-Man launched with a robust photo mode. Even the game’s fish-eye lens effect, seemingly useless, was employed by at least one person to amazing effect. Two features that were supposed to be in the game’s day-one patch didn’t get in there. A spokesperson for Sony had said that a new game plus and ultimate difficulty setting would be added. “The team is working on polishing the new addition to ensure the best possible experience,” the spokesperson said back on September 6. “We are targeting to release another update within the first weeks of launch which will add New Game Plus.” A month later there’s still no new update yet on when it’s coming. The game had its fair share of easter eggs, including a wedding proposal that turned into a harassment-filled debacle when it turned out to have involved two people who had not broken up amicably. The drama there was exacerbated by Kotaku’s and other outlet’s regrettably one-sided initial reports about the easter egg, which were followed by harassment of the woman being proposed to. It’s unclear if Insomniac is eventually going to delete the proposal or just let it lie. 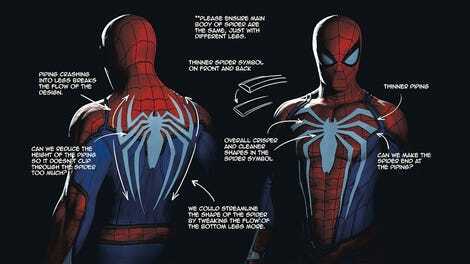 Some people took issue with the game’s portrayal of cops and Spider-Man’s relationship to them. Kotaku’s Heather Alexandra critiqued the game’s black and white approach to law enforcement as predominantly unimpeachable good guys and criminals as violent anarchists, but she wasn’t alone. The Ringer, Deadspin, and Dot Esports also called out Spidey’s overwhelming affinity for the NYPD as something that felt tonally off for players cognizant of current political climate, in which police brutality is increasingly a topic of scrutiny and condemnation. Others disagreed, calling complaints over the game’s treatment of the cops overblown. 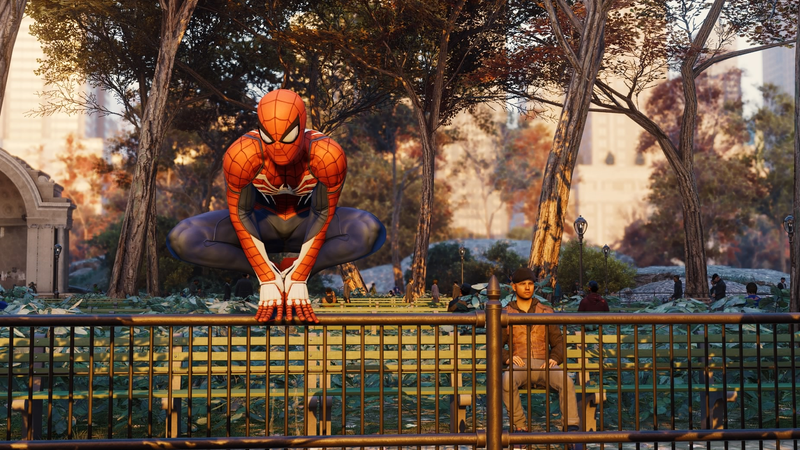 Meanwhile many players, including those at Kotaku, proceeded to fall in love with the game’s collectibles, including the dozens of backpacks littered around its version of Manhattan. One in 10 even platinumed it, meaning they collected all of the game’s trophies, an unusually high completion rate among comparable big PS4 exclusives where it’s often lower than 5%. Players tested the game’s limits and broke it where possible. IGN published a video of the polygonal block people loitering in boats along the East Bay, while others tried to see if they could visit the outer boroughs. While nobody made it to Brooklyn, they discovered it was possible to visit the Statue of Liberty using a glitch that gets Spider-Man on the other side of an invisible barrier surrounding Manhattan. From there, it’s possible to spin across the water with Spidey wrapped up like a ball. Not satisfied, one player continued to swim out into the sea until everything disappeared. Overall, the game’s had a lively first few weeks but has taken to the background as it awaits the first installment of its episodic “The City That Never Sleeps. ” The first involves a heist with Black Cat and is still weeks away, releasing on October 23.